In 2011, a macaque monkey named Naruto approached a camera that a wildlife photographer positioned and took its own selfie with it. This simple act turned into a major debate within the photographic and animalistic communities over who own the rights over the photograph. 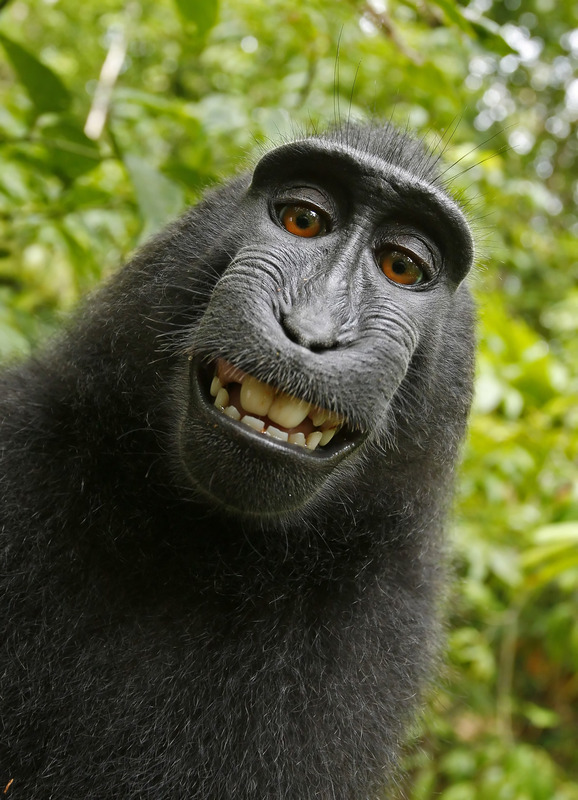 If this lawsuit succeeds, it will be the first time that a nonhuman animal is declared the owner of property (the copyright of the "monkey selfie"), rather than being declared a piece of property himself or herself. It will also be the first time that a right is extended to a nonhuman animal beyond just the mere basic necessities of food, shelter, water, and veterinary care. The photographer who set up the camera shared his frustration in an interview with Time by arguing that he is the intellect behind the photograph, since he positioned the device and the monkey just pushed a button. On the other hand, PETA lawyer Jerry Kerr argued that the Copyright Office Act grants copyright to authors of original work, with no limit of species, claiming that the person who owns the right is not the one who owns the camera but the one who takes the photographs.